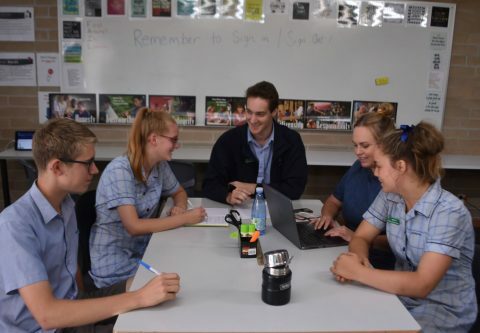 St Martins Lutheran College provides support to students in Foundation through to Year 12, who experience barriers to their learning. These barriers may be physical, intellectual, emotional, sensory, language, social and behavioral barriers or interrupted schooling. Students can be referred for support by pre-school staff, health professionals, parents and teachers or students themselves can self-refer. Support is provided in consultation with class teachers and may be given in small groups, in class, individually or as a home programme monitored by school staff. In the Secondary Years, support is also flexible but is generally given ‘in class’ where students are assisted to participate in the curriculum to the best of their ability, with modifications made to assessment tasks where necessary. The College also assists families to access assessments and services that may support students in their learning. St Martins offers language learning opportunities in both Chinese and German. Chinese is taught from Foundation to Year 12 and German is available for students from Year 7 onwards. 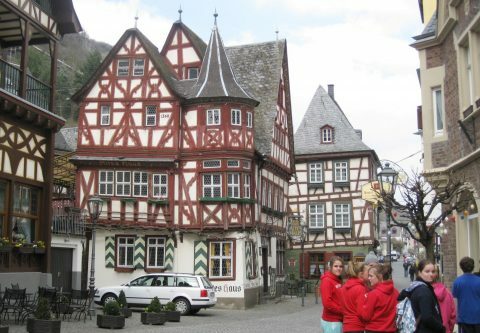 As a result of the language opportunities cultural tours are offered annually, alternating between China and Germany. These cultural tours are well attended by students and their families as an extension of their language studies. Indonesia Service Learning Trip – to give of yourself and expect nothing in return. St Martins Lutheran College has established a partnership with a small elementary school, Year 1-6 in Pematangsiantar. Students and teachers visit the partner school annually connecting with the children, staff and church of HKI, and are immersed in an everlasting heart-warming experience. The SMLC team spend a week in the school engaging in teaching and learning and cultural activities, singing and dancing, talking and games making strong connections with the children and staff. 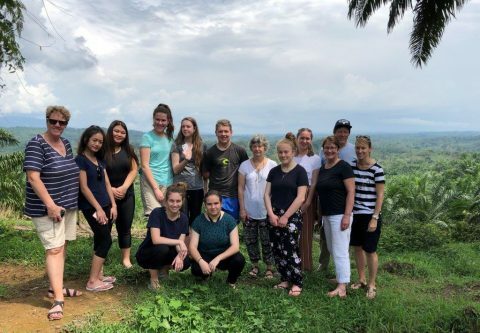 In addition to the serious and focussed nature of the trip students and teachers from SMLC experience a wide range of tourist experiences such as visiting the orang-utan reserve, washing and feeding elephants, swimming, shopping and dining out. 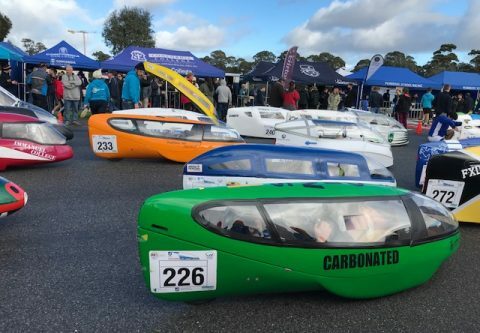 For a number of years now St Martins has been involved in Human Powered Vehicle competitions across the state. While this program is about pedal power and competing it brings so much more to the team of students, staff and parents involved. The program promotes a team approach to preparation and competing, with a fabulous opportunity for mechanical and engineering minds to work together to build and maintain the carts and strive for the competitive edge. The team of students commit to training and performing at their best in competition, and go with the highs and lows. The team of parents who form part of the supporting crew deeply enhance this very special experience. The St Martins Specialist Golf Program (SMLCGOLF) provides a comprehensive golf program of the highest quality. The program currently caters for Year 5 to Year 11 students capable of self discipline and respect for self, others and the environment. Based at the picturesque Mount Gambier Golf Course, Attamurra, the program is dedicated to providing tuition and opportunities for promising golfers whilst complementing their overall academic education. Bicycle SA is Australia's largest provider of specialist school and youth bicycle education services, annually teaching more than 4000 young South Australians to ride. 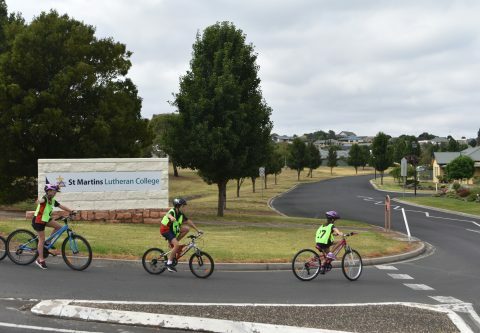 SMLC hosts Bicycle SA annually as they take all Year 5 students through their paces, emphasising safe riding and the health benefits of cycling. All students from Foundation to Year 8 study music with specialist music teachers and have access to a wide variety of instruments and equipment. Students from year 4 have the opportunity to play in a band through the Beginner Band program, which includes small group instrumental lessons supported by the college. In the second year, if students choose to continue, they become part of the Step2Band and the school provides the avenue for private instrumental lessons funded by parents. Both bands have performance opportunities within school, the community and at competitions. Students may wish to continue their study of music in Years 9 to 12 through an elective selection and Stage 1 and 2 SACE Studies. 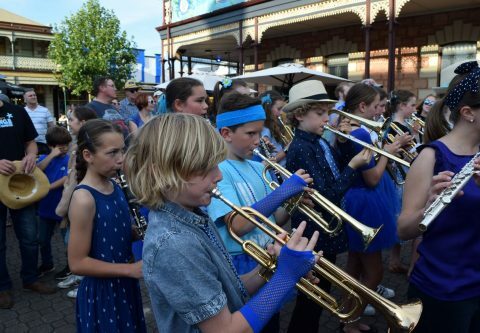 All school music programs are complimented by access to visiting specialist instrumental teachers offering a variety of instruments including piano, guitar, drums, woodwind, voice, string and brass. In fact, music is quite a significant part of College life with a student based worship band, musicals, Generations in Jazz and many community outings. In July four Year 11 students from St Martins Lutheran College will embark on an exciting and challenging journey in partnership with the international aid organisation ‘Habitat for Humanity.’ The St Martins students are embarking on a project with the ultimate goal of building homes for impoverished families in Fiji. 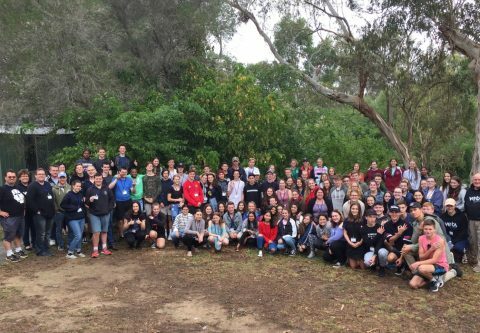 Students Emmerine Botha, Joshua Bonanno, Naomi Zwijnenburg and David Zwijnenburg are part of the eighth team to be sent by South Australian Lutheran schools since 2005 to build houses in the Asia-Pacific region. 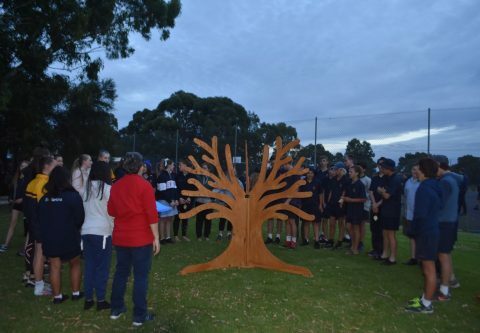 The students will be accompanied by St Martins teacher, Leanne Forbes, as they join up with 37 students, teachers, and youth leaders from five Lutheran schools across South Australia. 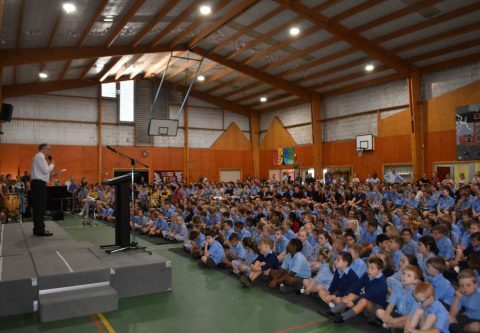 The RITE Journey is a unique educational program for Year 9 students which is designed to support the development of self-aware, responsible, respectful, resilient and resourceful adults. Throughout the program students undertake a number of activities in preparing them for adulthood. The SMLC Library hosts the Story Dogs program targeting students who need some help with reading confidence. Charlie and Ben, two beautifully natured dogs visit the SMLC library and work with children each week. Charlie belongs to the College Librarian Mrs Elliott and is quite the celebrity around the college. Vetamorphus provides young people with the opportunity to grow in the Christian life, develop skills for employment, and gain academic credit at the same time. Vetamorphus enables students to complete the Certificate III in Christian Ministry and Theology (10432NAT) which can be used to apply for credit towards your Secondary School Senior Certificate. It is a structured course that promotes the Christian growth for Year 11 students. Veta develops in students’ the critical capacities required for work in ministry settings. This opens the doorway to a variety of employment opportunities. into your character through deep reflection and Godly relationships. It is a powerful and life-changing opportunity. Students will be placed into situations where their heart, their mind and their imagination can be captured by Christ and transformed by the experience. 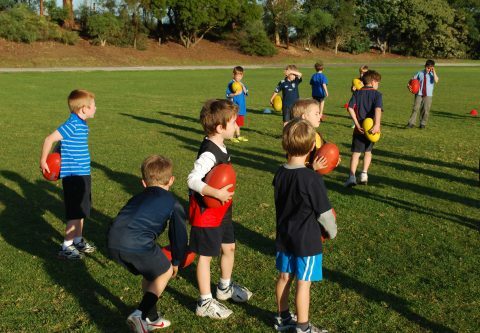 Auskick- Students get the chance to explore the world of AFL, building football skills and playing in a safe and super fun setting. NetSetGO is Australia’s official starter program for girls and boys aged 5 to 10. It’s a chance to learn the netball basics, get outside and make some friends. Junior Blasters program – a Fun and interactive way to learn cricketing skills. It’s safe plastic bats and a rubber ball are used in these fast –paced sessions. As a Christian school St Martins offers a variety of opportunities for students to participate in a rich worship program. Student musicians join together to assist with music during the regular Friday morning worship. Students also participate in regular class devotions and sub-school activities in the chapel. Parents and friends are always welcome.